Morgan James Publishing, 9781683506171, 174pp. Small business owners know that success doesn't follow a script, and neither should they. The Success Factor will take small business owners through the first, most important things to consider when starting a company, and will contrast conventional wisdom on the topic with the latest ground-breaking, but proven, unconventional wisdom. 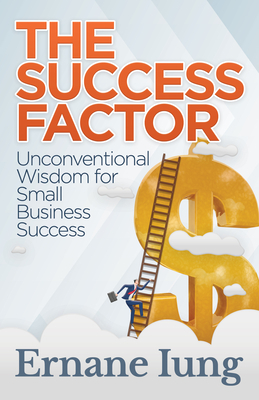 By the time small business owners finish reading The Success Factor: Unconventional Wisdom for Small Business Success, they'll have goals, a timeline, a business model, and a product service offering in place for their small business or start-up. Additionally, they'll gain an understanding of how their ideal customer thinks, where and how to find them, and how to market in a way that attracts the customers they want. Lastly, they'll learn to do more of the things they love, how to get paid faster, and how to keep more of the money they earn than they ever thought possible.